For many home and business owners, if they’ve lost a key, or have had a tenant move out or a manager leave, they’re faced with a sometimes flummoxing choice: Should I change or rekey my locks? For many, they immediately jump to changing their locks, as it can be an easy DIY project for a slow afternoon. But rekeying a lock may actually be a better solution for many people. Today, Firstline Locksmith will discuss the benefits of rekeying your locks for your home or business in New Jersey. The name alone already explains some of the process. 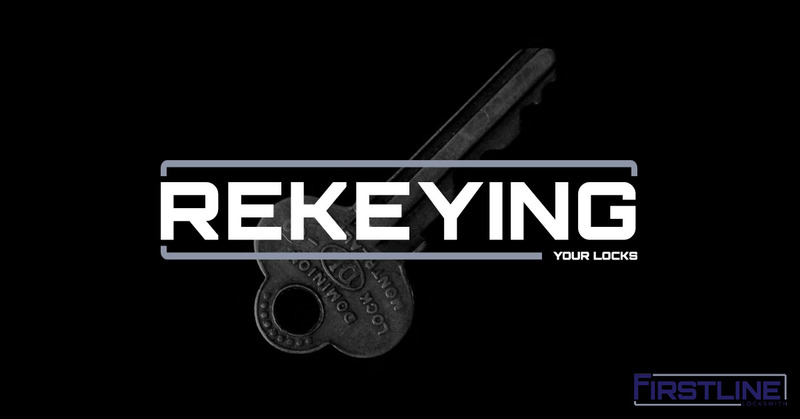 Rekeying a lock is the process of adjusting the internals of the lock so that it works with a new key. All of this can be done without replacing the existing lock and without sacrificing the accessibility and security of your home or business. Essentially, it’s like getting a new lock and makes your old keys obsolete. Rekeying a lock involves the locksmith accessing the lock’s cylinder. This process is much easier if the locksmith has access to the old key, otherwise, they will have to pick the lock open. With the lock open, the locksmith quickly removes the lock cylinder from the door to examine the inner workings of the lock. From here, a locksmith takes the lock apart and modifies and replaces its tumblers. These tumblers are what allow a key to fit into, engage and disengage a lock. Tumblers are matched with keys, so when you replace the tumblers in a lock, you have to replace the key that goes to that lock. What many home and business owners do not realize is that nearly all locks are designed with the option to be rekeyed. If you’re wondering if the locks of your home or business can be rekeyed, the answer is likely “yes.” That said, not all locks can be rekeyed the same way and may require unique tools that are proprietary to the brand and make of the lock. This is why it’s important to call in a New Jersey locksmith to rekey your locks. Rekeying a lock is preferable to changing a lock entirely for many reasons. Some of the most notable benefits of having a lock rekeyed include the following. Often, home and business owners rekey a lock when old keys have been lost, an employee or tenant leaves, or when someone moves into a new living or work space. In these cases, keeping the existing locks on your doors leaves them vulnerable to anyone who may have a copy of the existing key. By rekeying the lock, you can deny these unknown entities access to your space. Rekeying a lock is a great way to get a fresh start with your home or business’s security. Changing a lock is a costly endeavor. It requires the purchasing of a new lock and cylinder, and possibly the purchase of a specialized set of tools to remove the old lock. It can also take a lot of time for those who have never replaced a lock before. Rekeying, however, uses most of the existing components and pieces of the lock. By simply replacing the tumblers with new tumblers, which are very inexpensive in comparison, home and business owners are saving money. The only real costs associated with rekeying a lock is the amount you pay to the locksmith. The locksmiths at Firstline Locksmith are the best in the industry. They’re always improving their skills at our Jamesburg, New Jersey training facility. A rather simple process like rekeying a lock is an easy one for our locksmiths and can be carried out in very little time. You’ll have a fresh rekeyed lock before you know it! Don’t waste your valuable time struggling with specialized locksmithing tools and fumbling with changing out an entire lock. If you’re considering changing your locks, wait until you’ve called the technicians at Firstline Locksmith. We can rekey the locks in your home or business swiftly and precisely. 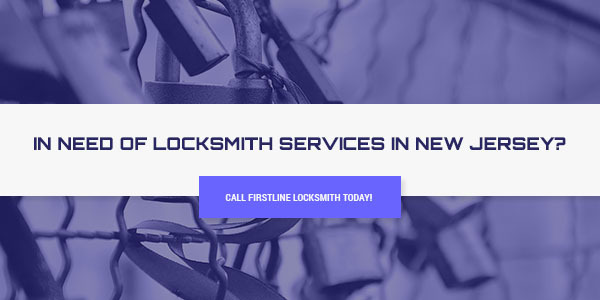 We’ve been providing our locksmith services to the people of New Jersey for over 25 years. In that time, we’ve developed a reputation for being detail-oriented, courteous, and cost-effective. Call us today to see how we can help secure your home or business!